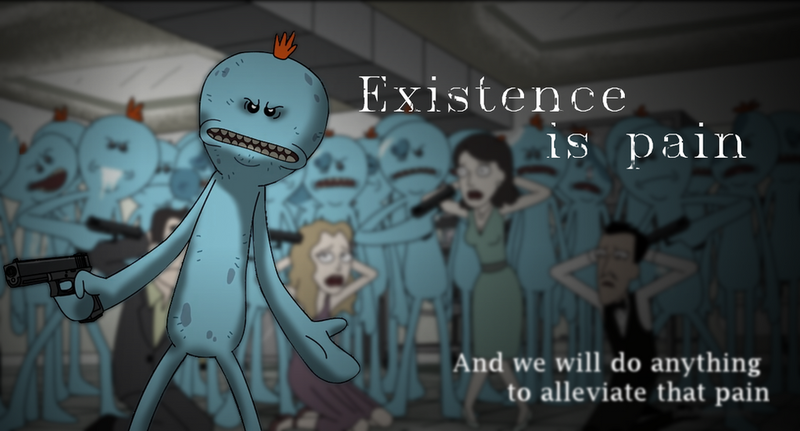 Mr. Meeseeks Look at me! The justice system is supposed to put the criminals behind bars but yet they putting innocent people in prison. Peoplelokbacktotheirtimeasdualisticthinkers,andto theirfaiththatiftheyjustputenoughefortintoproblem solvingsolutionswouldalwaysapear,asagoldeneraof certainty.Anintelectualapreciationoftheimportanceof contextuality and ambiguity comes to exist alongside an emotional craving for revealed truth.